Lysander Spooner University will again meet at Glacier National Park this coming weekend, Friday September 15 through Sunday September 17, 2017 for our annual glacier research project. Each year since 2015, we have sought to visit, measure and photograph the glaciers at Glacier National Park at their lowest points. Government websites associated with the National Park Service and the U.S. Geological Survey present ‘before and after’ pictures of the glaciers at GNP to show the glaciers rapidly melting away. However, the government websites do not specify precise calendar dates. They simply juxtapose one year (e.g., ‘1945’) against another year (‘2006’). It appears that some of the glaciers in GNP have grown over the past several years. Join us on Friday, Sept. 15 at the downtown public library in Kalispell, Montana at 6:00 p.m. for a discussion of this research topic and an overview. Then, the following morning, Saturday, Sept. 16 at 8:30 a.m. we will meet in the lobby of the beautiful East Glacier Lodge in Glacier, Montana. From there we will divide up our ranks to head out to different glacier areas. Strong hikers should be ready to tackle several miles of hiking. 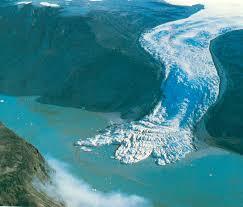 Others will go to glaciers that are visible from highways (i.e., the Jackson Glacier). We will then meet up in the evening of Saturday, Sept. 16 at a suitable restaurant or tavern to compare notes. (Note that there are forest fire and smoke issues throughout the Park and access is constantly changing. Please contact Roger Roots at his cell phone 406 — 224 —3105 for info and updates).